FK talks to the lovely Kate Vandermeer from iSpyStyle about her website, design workshops and consultancy business. 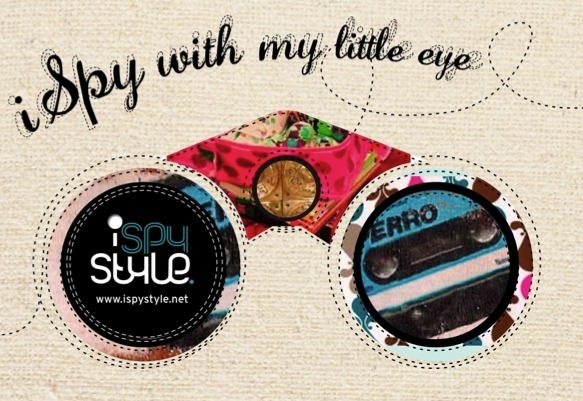 Tell us a little about iSpyStyle. 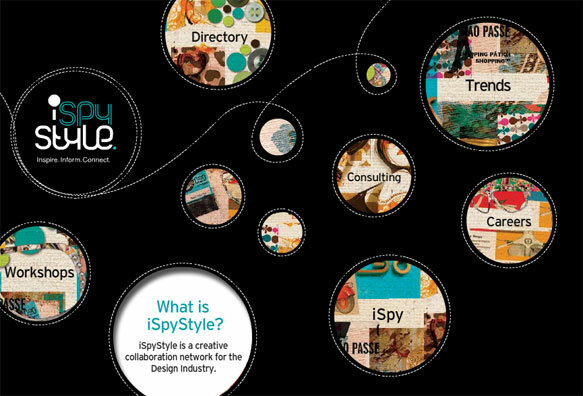 iSpyStyle is a slightly self-indulgent business in the sense that I am forever curious about discovering how creative people do what they do, when they came up with their “idea” and what makes them tick. I also love connecting interesting people in the industry. 1. The website – a central hub for articles, info, advice, my little black book of contacts and great visual merchandising imagery. 3. Workshops – whether private or ticketed events, the workshops are real time, interactive and involve me speaking about marketing, branding, social media, visual merchandising and career development in the creative industries. What is your background, and what inspired you to start iSpyStyle? I was working at stylehunter.com as brand manager and co-creator and loving the online space, however I was being approached to do judging, lecturing, writing and trend reporting work and loved the diversity of working across so many area’s and felt that I would like to work more in industry and less direct to consumer. So I put togethor a business plan with my partner and we worked through the concept and the reality of how we’d make it viable and I left stylehunter and began iSpyStyle in April 2009. Tell us a little bit about the Craft & Business Workshops and why you started them? I’ve always loved craft and design and particularly this new wave of creatives who have adopted old skool techniques. I began my own craft/design business at 23 and found that taking it from a hobby to a business was the hard bit, but I seemed to have a knack for applying some simple business and marketing concepts on a shoestring budget. When we worked on the business plan, I knew I wanted to share some of this knowledge with the creatives that aren’t necessarily business minded and a Craft & Business workshop was the next step. So this workshop takes you through the basics of business, branding, marketing and trends. The essentials about how to deal with buyers, what tools you need to get ahead and some helpful hints that are real life lessons I learned along the way. It’s very specific with lots of info and real plans of attack – none of this wishy washy stuff! What kind of info and resources can we find on iSpyStyle? 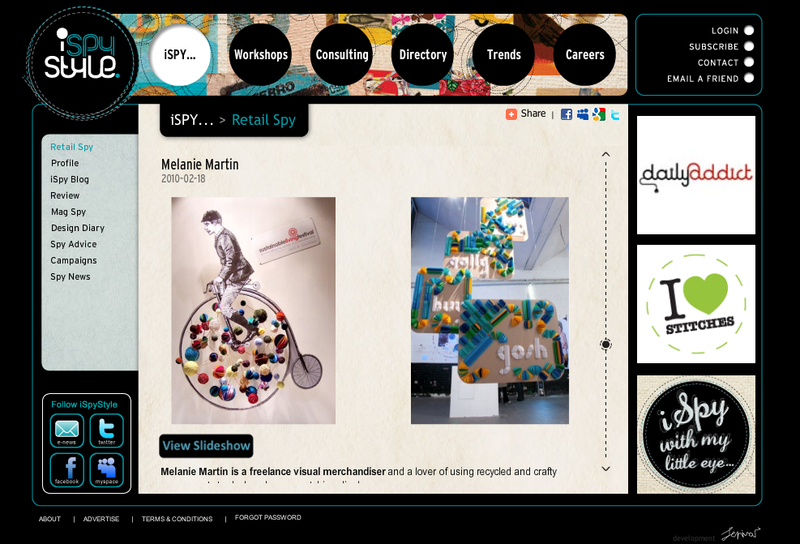 f. Spy Advice – 101 advice on e-newsletter marketing, retailing, iphone apps, grants for designers etc. What do you love about working within the Design Industry, and what inspires you? Goodness gracious.. big question… I love how someone who’s a bit motivated and clever can create something amazing out of an idea and some hard work. I know this sounds lame, but I love helping others achieve their goals by offering them advice, connecting them with others who might be able to improve their business. I love how the design industry is inherently admirers of anything smart, creative and special and (despite some initial ego) are happy to help promote others. I first met Kate about a year ago when I asked if she would speak at a symposium we were holding. She was brilliant of course and since then I’ve taken as many opportunites as I could to see her speak. Her workshops are full of great advice and resources and she is a naturally engaging speaker. Great to see here featured here!